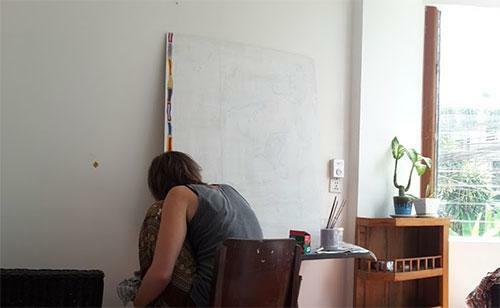 We offer a work space, simple accommodation and half-board for artists interested in working in Phnom Penh. If that sounds like you, please get in touch and tell us about yourself and your work. This is a new program and we are open to different media and ideas!